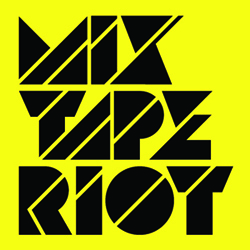 Mixtape Riot - Page 7 of 124 - Just a music blog, or so much more? Fantastic! Thanks for these tracks! I can’t stop listening to them. OOOF, no time no time, nothing new. Just wanted to drop off a big batch of fresh eclectic tunes before all of you lose faith in this place! I can still deliver the goods haha. Some mellower sounds that have been keeping my head on straight lately while I navigate the nonstop madness. Find someone to slow wine with and press play. Artwork above comes from Kerry James Marshall who has a retrospective up at LA MOCA right now. very nice. and i love the art work. I’ll echo Jake. Was craving the next batch of fresh tunes, but also cutting you slack, all you need, due to vastly more important priorities…hahaha! Keeping the energy super high today with a selection of global dancehall, reggaeton, kuduro, techno, trap, heavy bass bizniz. Just felt like I needed an injection of high voltage electrons myself to get up to speed this week. I hope this bounty of sonic double D batteries help’s you kick off Monday properly! Shout out to my man DJ Nadi who hipped me to Tomokazu Matsuyama (imagery above) and made the nasty mash-up that I included in this week’s playlist. Link to Make Money is working again. That track is $ in the bank. Like So too, wow! Thanks for keeping my iPod happy. Time was once a friend of mine. We’d spend the afternoon skateboarding in the grocery store parking lot, practicing a single trick on a curb for an entire afternoon- fully contented with our day’s efforts. We used to go for long bike rides through the city to the beach, headphones on, music loud, not a care in the world. Time and me would stay up late, then sleep in later. We’d move at a comfortable pace from season to season, watching clouds drift and leaves blow, thinking big rambling thoughts in circles, feeling quite alright without coming to a definitive conclusion. But oh how things have changed. My old friend time is not the same. These days I’m chasing fragments of thoughts as they flee from looming concrete demands that will not compromise. With time no longer on my team, the daydreams become to-do lists, and the lists are endless. I’m trying to figure out a way to patch things up, I still believe it’s possible, but without time the map is blurry. From this frazzled state, in desperate need of peace of mind, it’s my oldest homie Music who keeps reminding me that there is hope. That time isn’t mad at me afterall, just busy with his own meanderings, while I’m the one who’s changed. Music still gets me high in 3 minute doses, showing me possible worlds that have yet to be explored. Now more than ever, each effective song is precious. And today’s selection are effective indeed! Very cool flag/blanket above comes courtesy of Nacho Becerra. Man, this entry hit me right in the feels. Been a fan for years, keep up the good work! Getting back in the swing of things a bit, as 24-hour diaper duty transforms into a cyclical rhythm. I’ve gotta admit I’ve been a bit absent from catching the latest releases, but I’ve managed to snag a few things here and there. Some new era funky stuff to share with you all today, plus a couple non-commercial hip hop joints that are a nice break from the un-danceable new mumble-trap that is dominating top 40 hip hop airwaves these days. I’ve also included a touch of disco and finished off the set with some trippy mellow heartstring material. I hope you dig! For those of you in the LA area, mark your calendars: next Thursday is the proper album release party for “Night Visions” at El Dorado downtown. I’ll be performing live again with Chico Mann, good times guaranteed. Artwork today comes courtesy of Gerhardt Richter, check him out. This Selection is brilliant! Thx a lot from Zurich. Since the last time I posted, I have now become a dad. It is an entirely overwhelming experience that I won’t even try to blab about publicly on here for fear of sounding like an overly emotional burn-out psudo-guru. But yeah, last week marks a major change in my life. Additionally, my album with Chico Mann was finally released yesterday! This is another milestone many months in the works and I am feeling extremely happy to finally be letting this other baby out into the world. We’ve been having great luck with interviews and features, which have given us the chance to share how we first met, what our work process was like, why we chose the nocturnal theme and more. But I wanted to share a few more personal thoughts quickly on here about what this collection of songs means to me, and if you think that will detract in some way from the magic of your listening experience, then by all means read no further, just skip ahead and press play! Despite already having made a couple collaborative songs together through the internet, Marcos (Chico Mann) and I had never been in the studio together when we decided to make this album together. He had just moved to LA from the East Coast and was just getting used to traffic and constant sunshine, I had just returned from 3 months traveling around Asia. We were both a little bit discombobulated, not sure what the next step was, but both confident that working together was a good idea. It happened really naturally, the music flowed out, egos didn’t really get in the way, songs came out freely and took shape quickly without any bickering between us! This is more rare than you might think. My love of the latest global electronic music trends seemed perfectly balanced by Marcos’ complete lack of concern for nearly all music recorded after the 80’s. I learned that my wife was pregnant about half way into making the record, which warped my whole sense of the future and filled me with excitement and hope. On the other hand, the changing political climate around us made us both feel much more anxiety and fear about the direction the world seems to be headed. Somehow, the simple fact of singing in Spanish seemed more political than usual. Songs emerged about refugees, breaking walls, going to battle. All bouncing lightly over the dance beats I was cooking up. Potent messages sitting clandestine alongside love songs, longing songs, party songs, and melancholy songs about loss. There was darkness, but we were persistently fighting our way towards the light. I hope some of this comes through when you press play. The reason I make music, and share music on here, is because I believe it has tremendous power. My hope is that the music on Night Visions will move you, inside and out, because we all really need it, now and always. Congrats on your two new off-springs! All the best!